Impero was tasked with rebranding Beefeater Gin, one of the most recognized gins in the world and a true British icon. 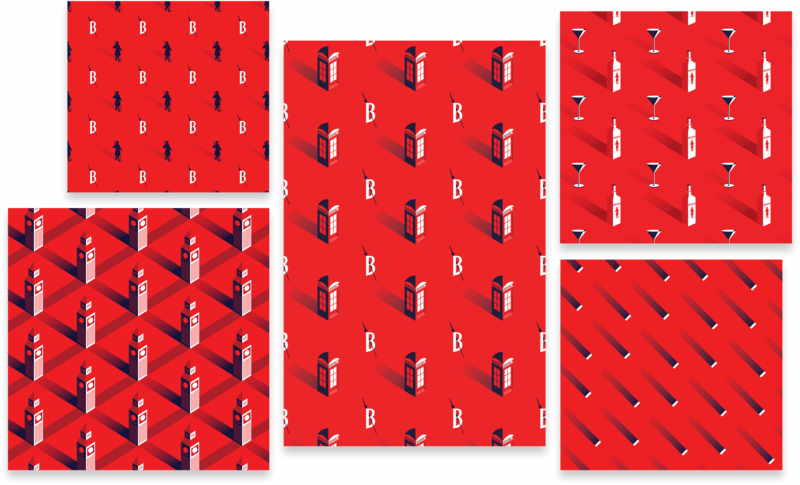 My role as one of the digital designers on this project was to be in charge of developing a pattern system and illustrations that reflected the vibrant, dynamic, young and bold vision that Beefeater needed in order to reach a broader market. 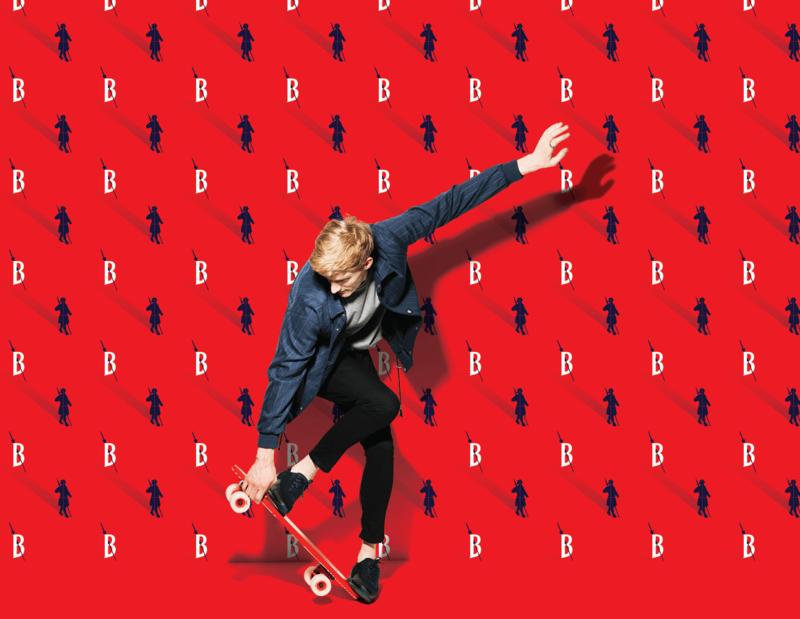 After months of non-stop and inspiring collaboration between all of the designers involved in this project, the new Beefeater was successfully launched and is on track to become the refreshing, young and appealing brand it aims to be. When I was first given the task of coming up with a consistent pattern library to be used on all of the collaterals, there were no guidelines in place yet. 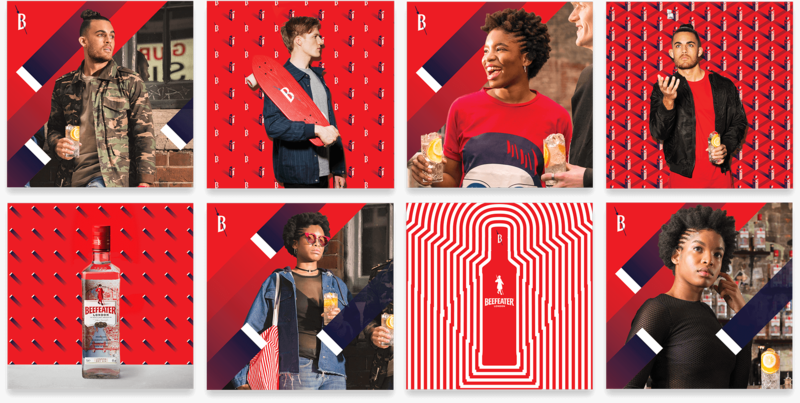 I was aware we had to retain the essential in order for the brand to stay recognizable, which is Beefeater's color scheme — red, blue, white and black (although sparingly). How we approached it was up to us. As the rest of the team focused on other aspects of the rebrand, I started doing some research on how best to approach the new values Beefeater wanted to show. I then decided to experiment with isometric views of iconic London landmarks and some light and shadow tricks while keeping to the basic color scheme, blending the red light with the red background to play with negative spaces. The isometric view and flat style ended up giving a sense of dynamism and depth that helped shape the direction we were going to go for. With infinite possibilities and, luckily, a very open briefing, I had the opportunity to explore a style that I was keen on trying — flat with negative space. 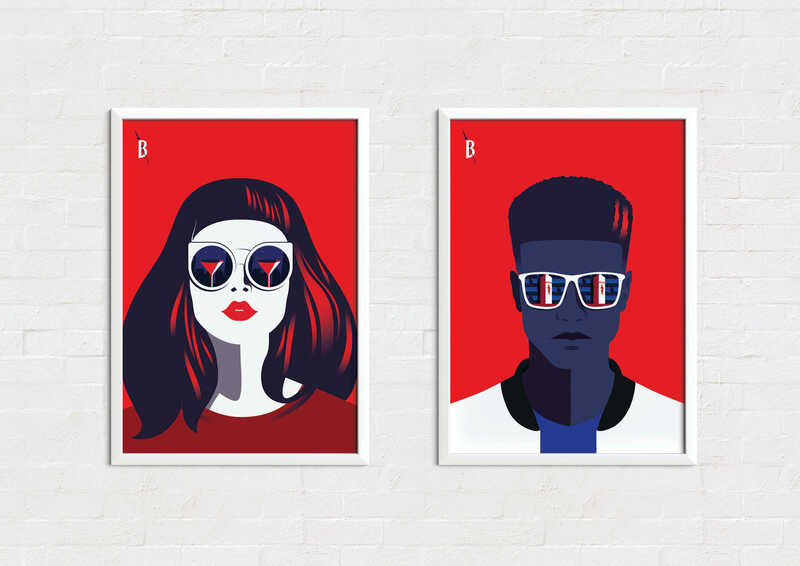 We needed two illustrations to kick off — one woman and one man. I already had an idea in my head and a couple of sketches of how I wanted them to look like: both had to be cool, modern, casual yet interesting. As part of my standard research process, I went into iStock to look for references that I could use for the illustrations. After many revisions and different iterations as shown above (including a very apocalyptic-looking one), we settled on what would define how further new illustrations would look like. 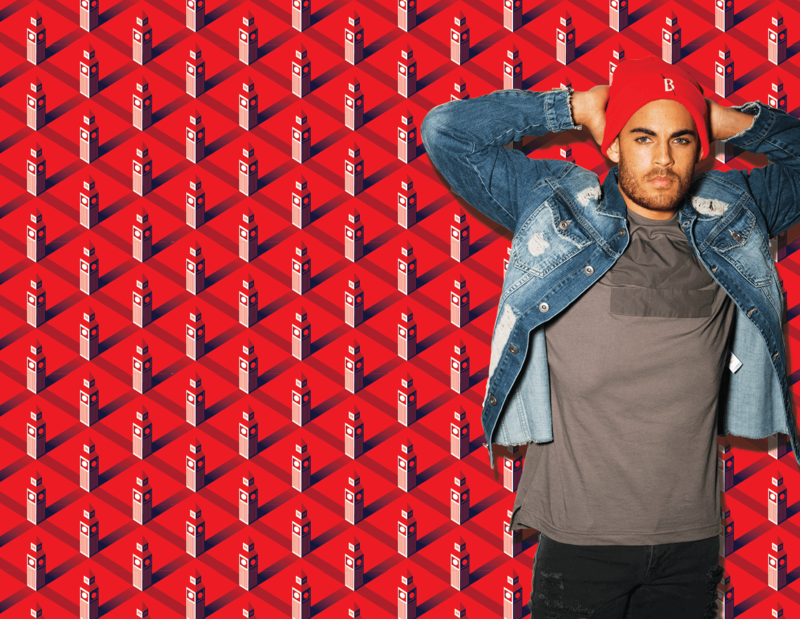 Once the patterns and illustrations were established and finalized, turning them into mockups made the brand start looking more polished. 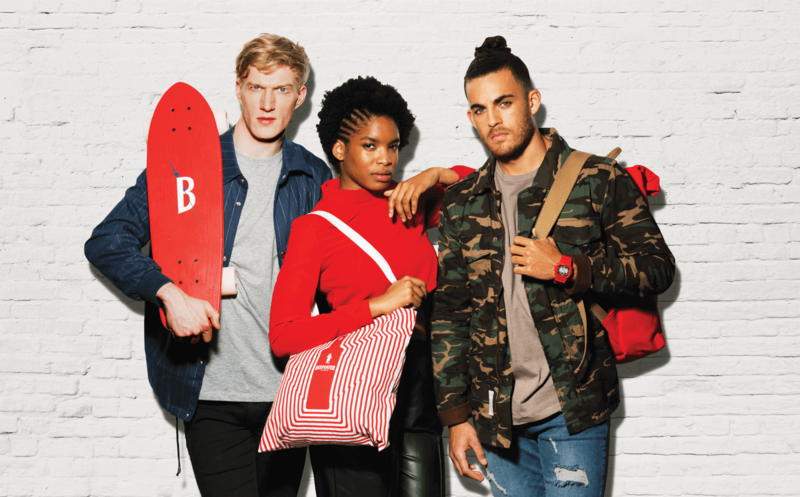 Because Beefeater wanted to start producing merchandising, we looked into showing the client what backpacks, t-shirts, caps, bottle glorifiers, coasters, ice buckets, packaging, glasses, tote bags and many other items would look like in the new Brand World. 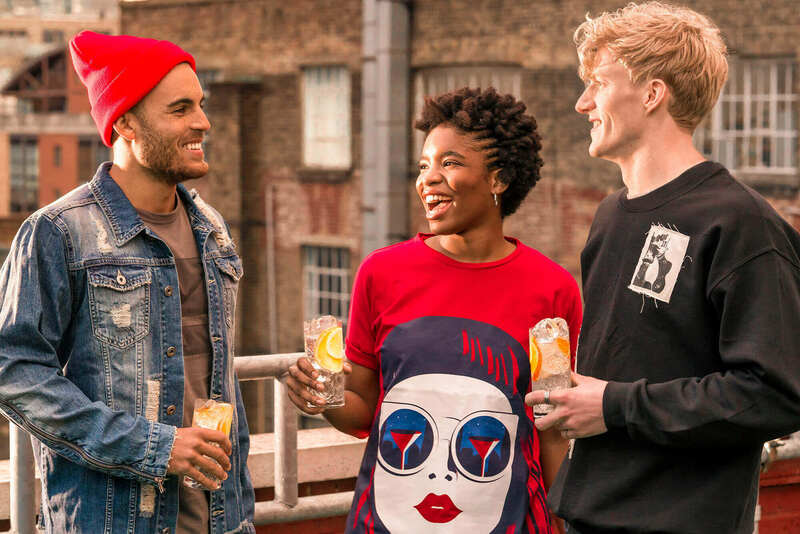 Once the mockups were signed off, the team began setting up photoshoots with the new merchandising being worn by models so that we could start rolling out the rebranding across all of Beefeater's social media channels (plus its website). The final photos were then cut out and added on top of the Brand World patterns created previously. Being part of such a big scale, long and important project has not only been thrilling, exciting, challenging and exhausting but ultimately rewarding as all of the team came together to create something unique that pushed the brand in the right direction by helping an established iconic brand stand out against the competition with a brand new, modern and refreshing look.